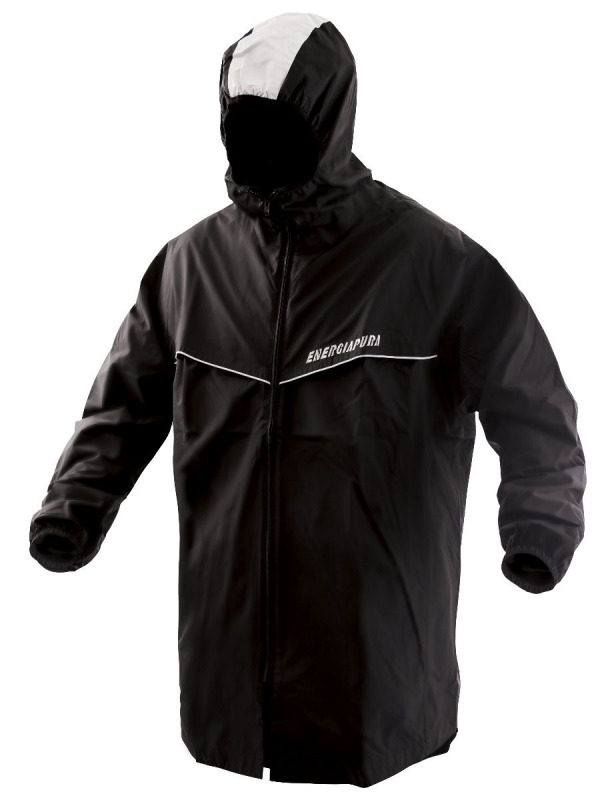 Outer fabric in 100% Supplex nylon with high water repellent and oil repellent tenacity, membrane and highly breathable. Silver coating in monoelastic polyurethane, waterproof, soft, light, resistant. Water column of 15.000 gr / mq in 24h, breathability of 10.000 gr / mq in 24h, externally the fabric has been treated DWR to slide liquids very quickly so that no water, snow or dirt are absorbed. The fabric remains unaltered and retains its performance even after frequent washing; in fact, through the ironing the properties of the Teflon treatment are reactivated. The seams are thermo-taped, waterproof zip, back equipped with a ventilation system with mesh. The dimensions of this garment have been studied to facilitate the athlete who wants to train even in extreme conditions such as heavy snow, rain or strong wind.